As late as the mid-1930s, nine out of ten rural homes were without electric service. The farmer milked his cows by hand in the dim light of a kerosene lantern. His wife was a slave to the wood range and washboard. The unavailability of electricity in rural areas kept their economies entirely and exclusively dependent on agriculture. Factories and businesses, of course, preferred to locate in cities where electric power was easily acquired. For many years, power companies ignored the rural areas of the nation. On May 11, 1935, President Roosevelt established the Rural Electrification Administration (REA) Act, which was passed in 1936 and provided federal assistance to accomplish rural electrification. Once World War II ended, electricity rapidly spread across rural America, with 90 percent of farms having electricity by 1953. Today, approximately 99 percent of the nation’s farms have electric service, thanks to the drive and determination of electric cooperatives. Wolverine has been serving our members for over 60 years. Wolverine was formed January 1, 1983, resulting from a merger of Wolverine Electric Cooperative and Northern Michigan Electric Cooperative. 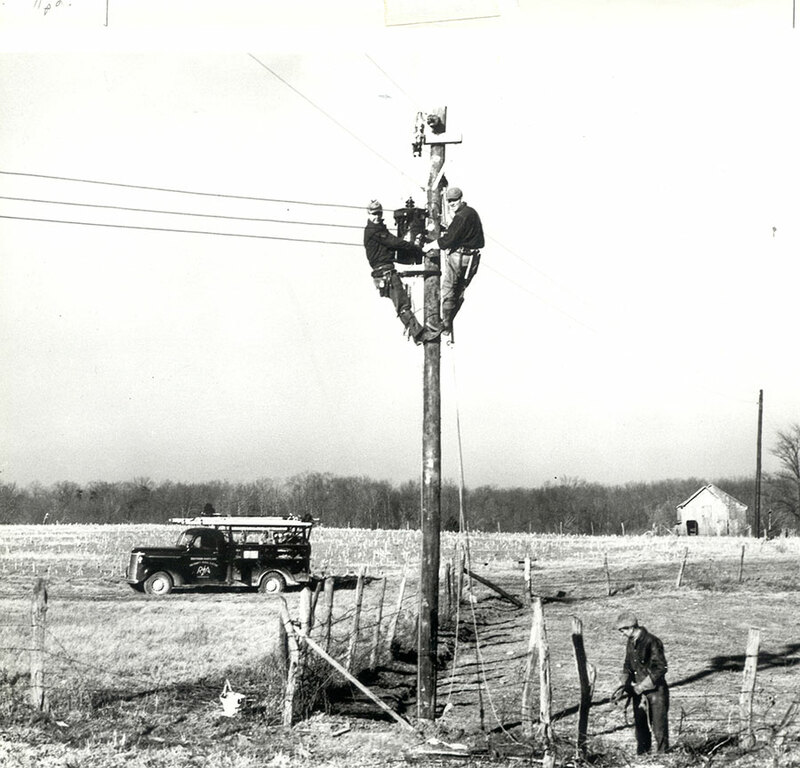 Wolverine Electric, originally headquartered in Big Rapids, was formed to serve four electric distribution cooperatives in southwest Michigan in 1948. Northern Michigan Electric, headquartered in Boyne City, was also formed in 1948 to provide service to three electric distribution cooperatives in northern Michigan.